Sai Deng is the Metadata Librarian at the University of Central Florida. She provides access to the university Libraries’ digital collections and makes them available online to the public through metadata related work, including object description, access points selection, subject analysis, authority control and quality assessment. She’s involved in project management and workflow development for digital collections. She works collaboratively with Digital Initiatives, Special Collections and University Archives, as well as other campus units and communities. Sai received her M.L.S. from the Graduate School of Library and Information Science at the University of Illinois at Urbana-Champaign (UIUC GSLIS) in 2005. She worked for Preserving Electronic Publications and Illinois Government Documents Initiative as a research assistant at UIUC GSLIS. She was the Metadata Catalog Librarian at Wichita State University Libraries from 2005 to 2012. 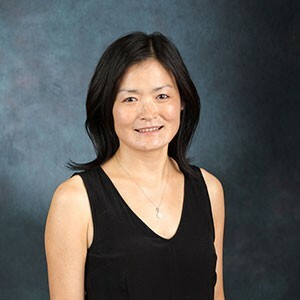 Prior to coming to the U.S, she was an editor for the Commercial Press International and a newsletter editor for the Sanlian Joint Publishing in Beijing, China.